The community was originally named Sodom. During the Civil War, a Baptist preacher travelling through the area commented on a group of prostitutes and compared it to Sodom in the Bible. Presbyterian missionaries disliked this name, and officially changed the name to Revere. However, natives of the area continued to use the name Sodom. Revere is particularly rich in ballad singers, and noted folklorist Cecil Sharp transcribed several "Old World" ballads sung to him in 1916. In 2001, Rob Amberg published a book Sodom Laurel Album that chronicles the traditions and lifestyle in Revere. Residents and folk singers Dellie Norton, Doug Wallin, and Sheila Kay Adams are featured in the book. ^ "Sodom Laurel Album". Publishers Weekly. 2002. Retrieved 2009-07-13. ^ Smith, Betty (1998). Jane Hicks Gentry: a singer among singers. University Press of Kentucky. p. 72. ISBN 0-8131-0936-1. ^ Adams, Sheila Kay (1995). Come Go Home With Me. University of North Carolina Press. ISBN 0-8078-4536-1. ^ Jones, Loyal (2008). Country Music Humorists and Comedians. University of Illinois Press. p. 52. ISBN 0-252-03369-8. ^ Sharp, Cecil (1917). English Folk Songs from the Southern Appalachians. New York and London: Putnam. 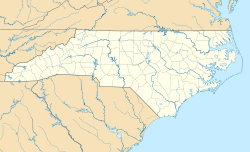 ^ "Sodom Laurel Album Explores North Carolina Mountain Community". Library of Congress. April 17, 2003. Retrieved 2009-07-13. This page was last edited on 15 January 2018, at 05:07 (UTC).